I had such a marvellous time doing A Century of Books in 2012 that almost as soon as I finished I was eager to do it all again. It was good to have a year long break but today I (and several other ambitious bloggers) start again with the goal of reading one book published in each year of the Twentieth Century. I’ll be keeping track of my progress here. 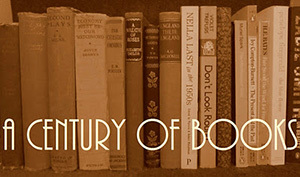 Do let me know if you’re doing A Century of Books this year, too. It is so much more fun when you have a buddy to cheer you along! I would *love* to do this, but find I’m pretty awful at keeping to challenges – even those as flexible as this! 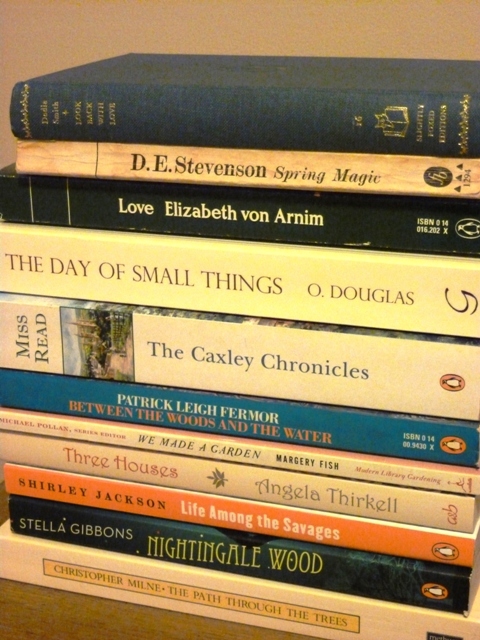 However, I shall keep a note of the publication date of all the books I read this year just to see how I would have done! Good luck! I am awful at most challenges but this one is so wonderfully flexible that it is no work at all! I’m in, Claire. Inspired by you and Simon and the others who’ve done this in the past, I’ve bravely stepped up to join this ambitious challenge. And I’m aiming for doing it in one year as well. Oh – Happy New Year! So pleased that you’re joining us this year, Barb! Given how fast you read and how promptly you review, I’m sure you’ll be done well ahead of us! And of course I’ll look forward to seeing what you read – I’m always looking for ideas for difficult years. I’m still chipping away at my first time around with this. 32 books to go with 15 of those in the first two decades. I’ll be watching your list carefully for recommendations to fill in my gaps. The 1900s are difficult, aren’t they? I loved the 1910s last time and already have lots of ideas for this time around. Simon, I’ve already gone off track! I had Life Among the Savages all pulled out and ready to go…and then ended up reading another book from 1953. Exact same thing happened in 2012. Get it together, Claire. I see one of my very favorite books as well – Life Among the Savages – and two that I enjoyed very much (von Arnim & Thirkell, of course). I am considering a century myself – or really a mid-century! I love your mid-Century idea! I have realised I am terrible with long term commitment challenges, so will be watching and reading for recommendations, as usual. Happy new year. Happy New Year to you, Sarah! These centuries are so addictive, aren’t they?!. I’m not brave enough to tackle that later decades of the 20th century again, so I’ve pushed my next attempt back by fifty years, so that I can pull in some Victorian novels instead. SO addictive! I love the idea of a mid-Century challenge and I’ll watch your progress with interest. I know my limitations alas and this would be beyond me. I’m so impressed that you and others have done it though! Now if there was a ‘Decade of Books’ challenge I think I might – just – manage that! It is a huge challenge but so satisfying once accomplished! Happy New Year, Claire! I’ve decided to join and spread my reading over two years. I’m excited to start and to see what everyone reads. I haven’t made a plan except to read my usual and fill in gaps as I go along. That’s great that you’re joining! Good luck! What a great idea! It would be fun to switch it up by doing another century, or books from a different continent, or even nonfiction. So many possibilities! 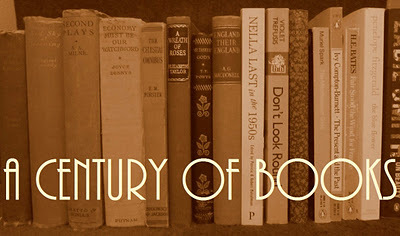 I’m not sure I’d be able to manage any other Century but the challenge certainly allows for reading a huge variety of books, from any country and of any genre. Many of my choices for ACOB back in 2012 were non-fiction. I didn’t even know this was a thing! Now I really wish my public library wasn’t so abysmal. 😦 I might have to do an abridged version, culling from the various personal libraries of my friends. There were only a handful of us doing it in 2012 (and 2013 for the people who took two years) but our numbers certainly seem to be up for 2014! You are a better person than I am. Once was enough for me. I would love to have that Stevenson. I only own about 10 of her 33 novels. Can’t get enough of them. I found Love by van Arnim pretty fascinating and slightly upsetting. I splurged a little before Christmas and bought myself a handful of D.E.S. books. I think I’m up to a collection of 12 now. If only they were easier to find (and cheaper)! Thank goodness for the library. Getting a good start on this with the first week of the year off work 🙂 I’m hoping to get as many read as possible this year but am allowing myself 2 years for this challenge, knowing how much extra reading I”m going to be doing to work and such this year. Lucky you! I’ve been working through the holidays and don’t have any break in sight. Good luck to you with the challenge!